Did you know that you are at risk of getting a DUI every time you drive after smoking or consuming marijuana? In a 2012 survey, over 7.5 million people have reported that they have used marijuana on 20 or more days in the past month. This means there are likely millions of people out there who are driving while under the influence of marijuana. DUIs are not to be taken lightly; they can seriously turn a life upside down in an instant. It's important to know that alcohol isn't the only way that someone can get a DUI. Marijuana also has mind-altering effects that impact motor skills and increase the risk of reckless driving and accidents. The legalization of marijuana in some states has led to some confusion about the risks of driving while under the influence of the drug. Despite the legalization, it's important to know that marijuana impairs a person's driving ability, too. Statutes acknowledge that there is risk associated with driving after consumption of a mind-altering drug. In the case of marijuana, consumption includes smoking the drug or consuming edibles containing the drug's active ingredients. It's up to the officer to determine whether or not the driver has shown impaired driving ability due to marijuana. In the case of marijuana, an officer does not have a simple way to determine whether or not a driver is under the influence of marijuana, unlike with alcohol. The level of impairment depends on several factors such as individual tolerance, amount consumed, and time since last dose. The protocol for determining alcohol intoxication is much more straightforward. Officers have the tool of field sobriety tests to determine alcohol intoxication. Field sobriety tests challenge a person to perform simple coordination movements that are challenging for someone to complete while they are under the influence. An officer may also call in for urine or blood testing to confirm their determinations. The tests for determining marijuana use are not as easy as testing for alcohol intoxication. Officers must use their sense of smell to determine if marijuana is present, and they may have to search for drug paraphernalia along with indicators of use. In addition, an officer may still use certain field sobriety tests to determine marijuana intoxication. Unlike alcohol, marijuana levels do not correspond well with bodyweight because it can be off due to excess amounts of fat. This means regular users who haven't used very recently may still show high levels of the drug in their system. This makes the accuracy of blood and urine tests questionable. Even though an officer may have a hard time detecting the drug in those who use it, attempting to drive after consuming marijuana is extremely dangerous. 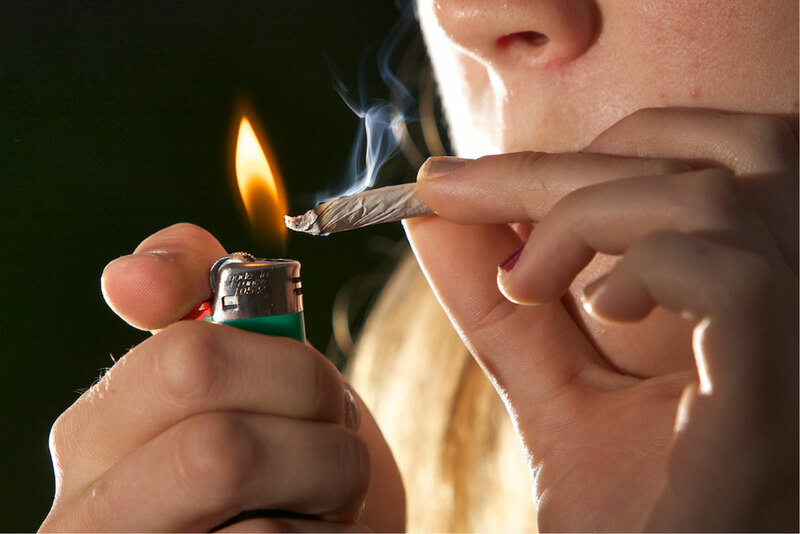 Studies have shown that someone under the influence of marijuana is twice as likely to get into a car accident when compared to sober drivers. Moreover, the risk for serious injury and fatalities goes way up. Therefore, lawmakers are adamantly striving for better DUI laws to improve road safety. Although many under the influence drivers are caught before a collision occurs, there are still serious charges that can significantly alter the course of one's life. In most states, the charges are severe, which can include years of probation and the possibility of a suspended license. A person is also looking at hefty fines. These fines must be paid before a driver can regain their license and get back on the road. The effects of a DUI are something that can permanently change the life situation of a person. Therefore, it's essential that you do everything you can to ensure you are not one of the people who put yourself and others at risk by driving after consuming marijuana. If you really want to be safe, you can enroll in traffic school, also known as defensive driving. These courses will instill confidence in your driving ability, allowing you to navigate any traffic situation with ease. In addition, a person who completes a traffic school course may reduce their insurance premiums and driving record points. There's no better way to benefit your driving situation than to improve your skills and knowledge with a good course in driver training.